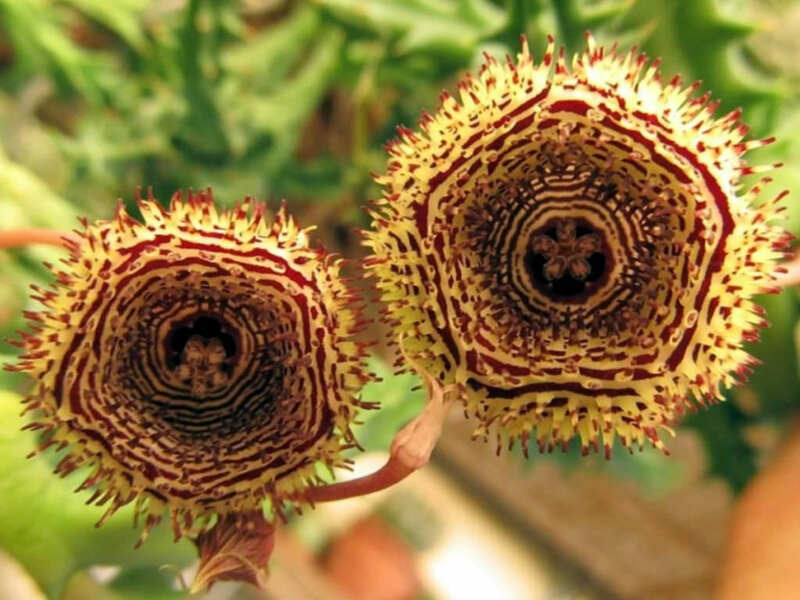 Huernia hystrix is a variable, stem succulent up to 3 inches (7.5 cm) tall. 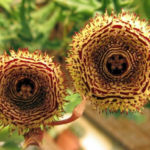 The stems are usually pale green, occasionally glaucous and tinted dull purple, 5-angled, up to 0.5 inch (1.2 cm) thick, with spaced, swollen tubercles along the stem ridges that are tipped with sharp conical teeth pointing outwards. 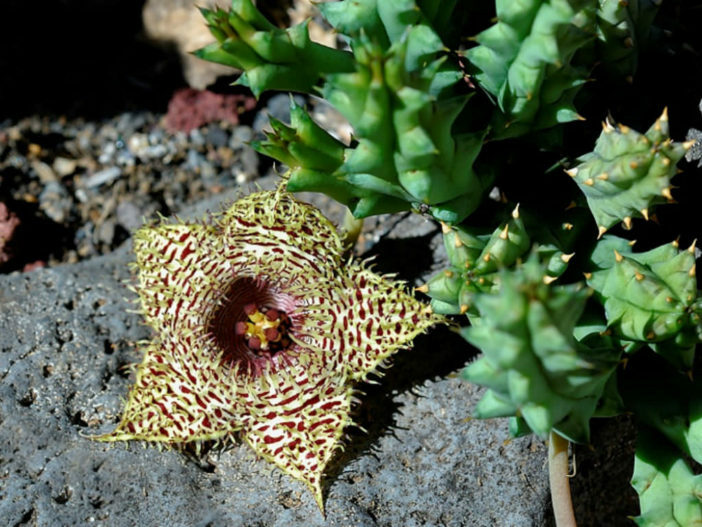 The flower are borne in groups of 2 to 5, bell-shaped, pale yellow to cream, marked with crimson to maroon spots. 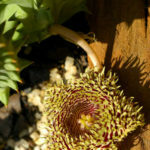 They grow on long, hairless stalks from the axils of tubercles in lower stem parts. 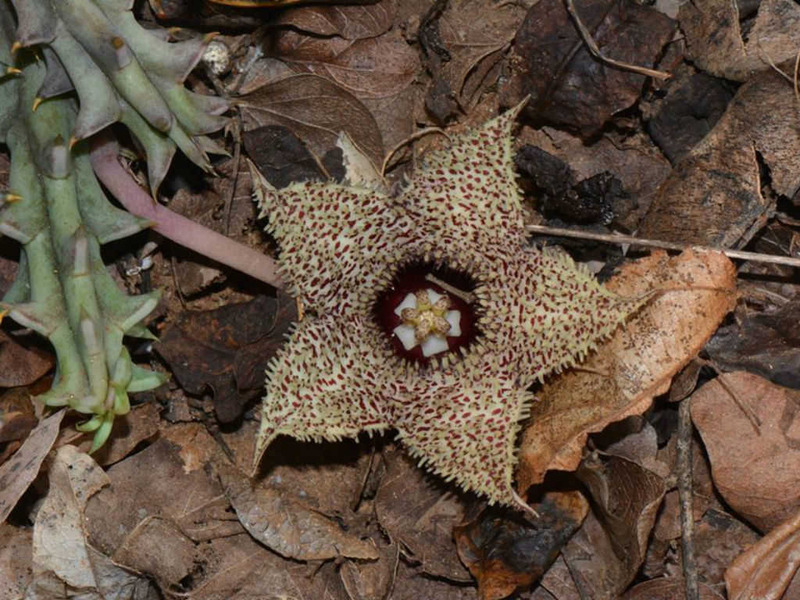 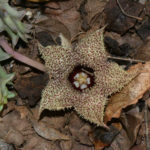 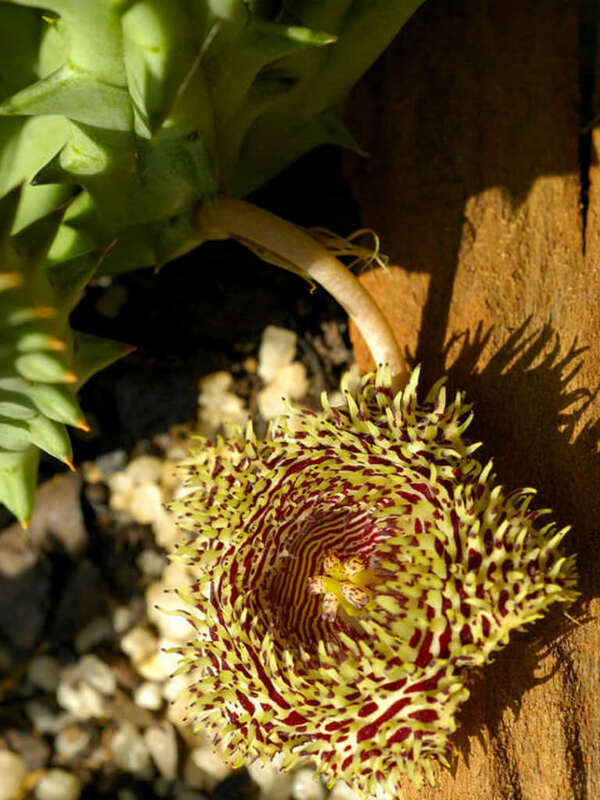 Huernia hystrix is native to South Africa (KwaZulu-Natal, Mpumalanga and Limpopo), Swaziland, Zimbabwe and Mozambique.